Can we know the heart and mind of God? Yes. He has given us so much to show His heart. We have His word, and upon reading the Holy Word of God, if we just read what God says through His prophets, we see the love of God expressed, but we also see a desire of God to be with His creation. He walked with us in the garden of Eden, then He visited Abraham in a physical form, but we can almost feel that He wishes more. So as we read the Word we see the desire of God's heart to be with us. Not just walk with us, but to "dwell within us." This is the highest desire of God is to dwell within the heart of those that love Him and seek Him. For a heart that can have the indwelling of the Holy Spirit within it is a heart that has to be purified before God can enter, for God cannot come into anything impure or corrupt. What great joy God knows when he dwells within a heart that has been purified and strives after His own heart! For if that soul will persevere in seeking after God all of it's days, then that soul can know the greatest joy that cannot be obtained on the earth. God can give such ecstasies of His love for a soul, but the greatest thing, for both, the small soul and the Almighty God is when that soul has fought the good fight and ended its journey with the greatest destination: TO SEE GOD IN THE FACE. 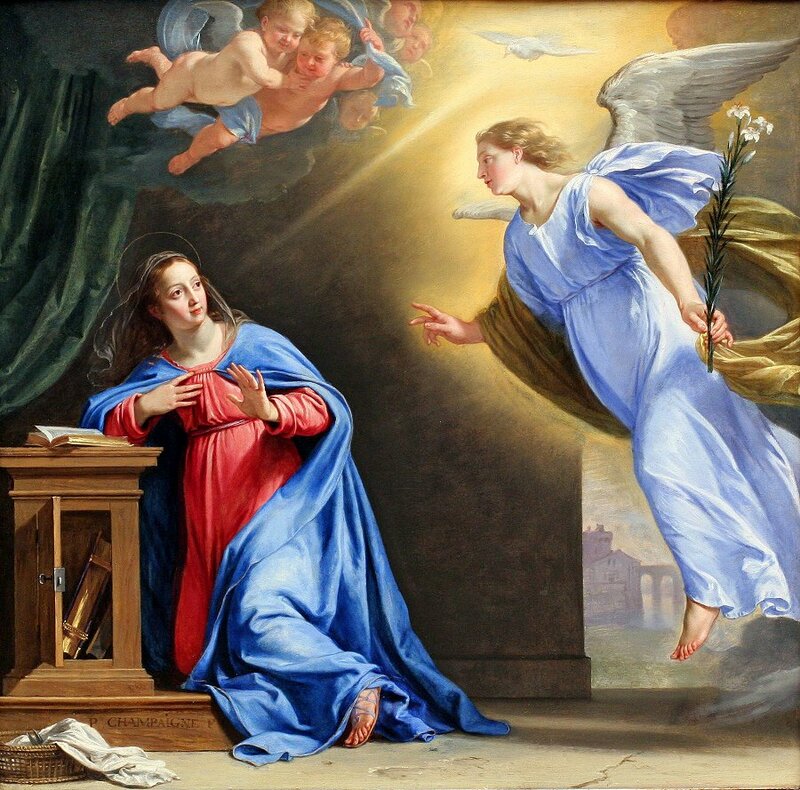 Our Mother, the Virgin Mary was the first to experience this as the Holy Spirit overshadowed her. What joy God knew at her holy obedience and humility, that the desires of His heart could be expressed through His Son, Jesus. She became Israel, and as He overshadowed her, he brought forth from her greater heirs than he gave Abraham. For if He gave Abraham physical heirs, which is limited to the physical. (Physical occupies time and space) from Mary He gave through Jesus the gift of the Holy Spirit which not only creates children of God. ("He whom obeys my Father in heaven is my brother and sister...") that have physical bodies but also, each soul that professes the Christ can have the indwelling of God, the Holy Spirit within them, thus giving God His desire to... dwell with us. Beloved Trinity... I love you.